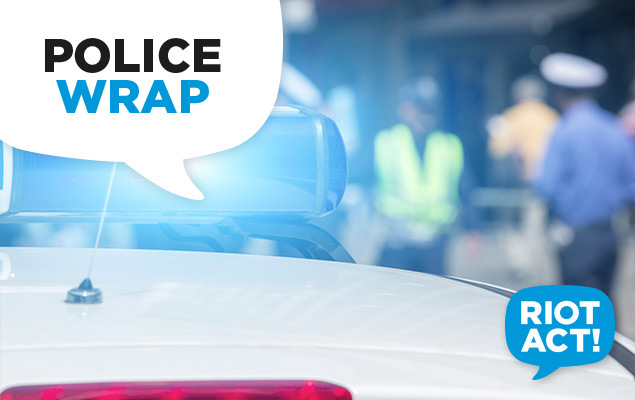 ACT Policing has arrested a 38-year-old Kambah woman after allegedly robbing a BWS liquor store yesterday, (Saturday 24 January). At about 1.30pm a woman entered the liquor store on Marconi Crescent, Kambah with a green Woolworths bag containing two kitchen knives and pushing a half size shopping trolley. After walking around the store for a short time she placed two 10-packs and three six-packs of bourbon and coke cans in the trolley. As she approached the counter she told the attendant that she had a knife and asked him to fill up the green bag with cigarettes. The attendant complied, and the woman left the store with the cans of liquor and several packets of cigarettes. Police searched the immediate area without success; however a suspect was nominated who resided close to the area and matched the description of the woman. About 2pm, police attended a residence in Kambah and located the woman who told police she had the liquor and cigarettes in the house. The woman was conveyed to the ACT Watch House and will today (Sunday, 25 January) be transferred to the Andrew Maconochie Centre to face court at a later date. …police attended a residence in Kambah and located the woman who told police she had the liquor and cigarettes in the house. Crime. You’re doing it wrong.